We drove from Kibuye to Gisenyi. Along the road we made a pit stop to do a tire change. For about an hour we played soccer and volleyball with some young people. I brought a book with images of Calgary. Everyone enjoyed seeing pictures of the prairies, mountains, snow, and city centre. We had a long drive to la Maison St. Benoit where our accommodations were at the site of a Dominican convent. Upon arrival we kicked a ball around, strolled along the lake, and had lunch before some free time. During this time I spoke with Sister Francoise. We chatted in French about faith and suffering. She spoke quietly and piously saying that God is always present and that during the genocide, He was present in those who risked their lives (and, in some cases gave their lives) to save people. She and I marveled at how resilient people are and how people can live and flourish after the horrors of genocide. The way she spoke about the miracle of life after genocide inspired me to think about the miracle of life after death, of resurrection. In the afternoon we went to the Congo border. We observed hundreds of people easily moving between the two countries. Border security is virtually non-existent and passports are not required for residents of the border communities of Gisenyi and Goma. In some areas it’s unclear whether a house is in Rwanda or in the Congo. During the genocide, the place that we visited was one of the main points of exit for people fleeing Rwanda. After the Rwandan Patriotic Front (RPF) liberated the country, the perpetrators fled the country through Gisenyi and set up refugee camps near Goma. After the refugee camps were set up, the international community intervened swiftly. However, a lot of the people in the refugee camps were perpetrators meaning that aid and relief often reached perpetrators before reaching victims. In the evening we learned even more about the spillover effects of the genocide into the Congo, Uganda, Burundi, and Tanzania. 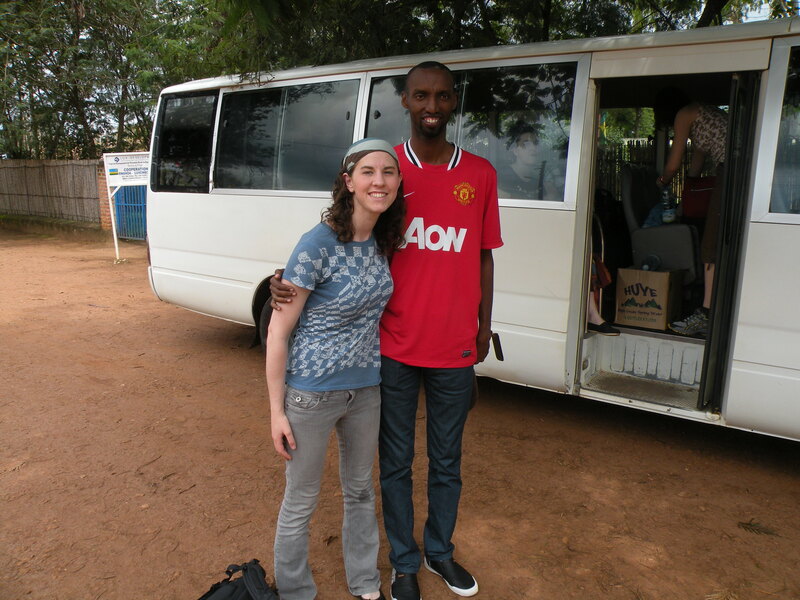 Our Rwandan guide and friend Faustin told us his personal story. He was fourteen years old in 1994. He joined the RPF and worked as a driver. When they went into one of the towns that the RPF liberated, there were several small children crying for their mothers. He was able to help one child by taking him to his boss’s wife. She raised him as her own. Faustin remains in touch with this young man whom he considers to be a brother. The young man is now studying in university and was eventually able to find some of his family members who survived.Then, in the evening we went dancing at a club beneath the restaurant. We drank Ugandan gin and danced to “Waka Waka” and “Call me maybe”, our team’s favorite songs. One team member remarked that clubbing felt a bit like emotional whiplash. It was good to go out mid-way through the trip though as we transitioned from despair to hope and from tragedy to optimism. In gratitude for their support of this trip, this post is dedicated to Students of the University of Calgary. 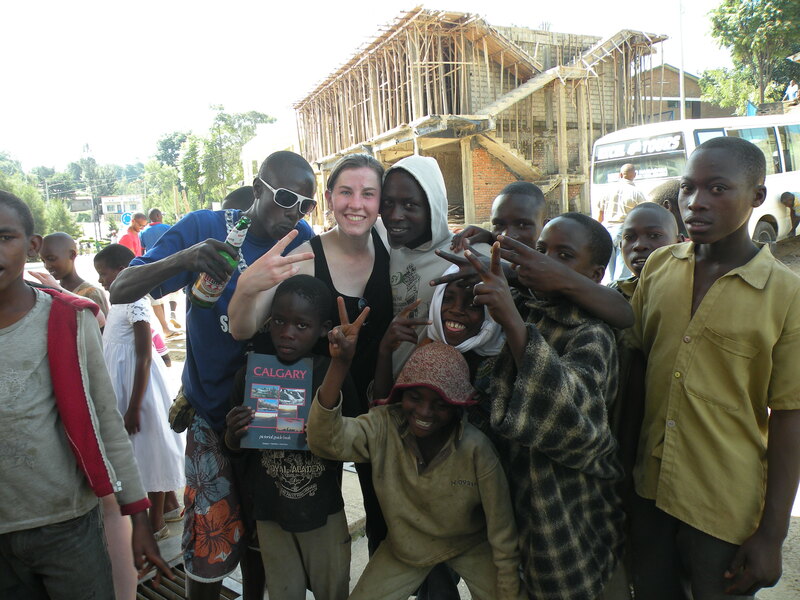 This entry was posted in Reflections on Rwanda, Travel by Amanda Achtman. Bookmark the permalink.